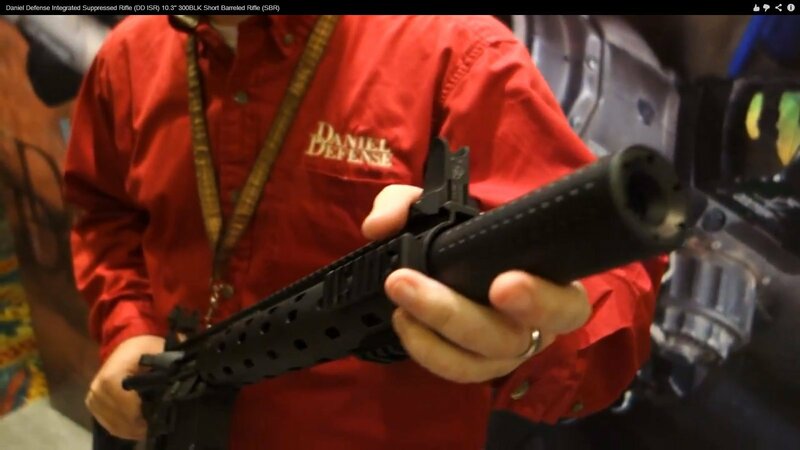 Daniel Defense DD M4 Carbine ISR-300 Blackout (Integrally Suppressed Rifle 300BLK): DDM4v7-type 10.3″-Barreled Tactical AR-15 Short Barreled Rifle (SBR) (Video!) | DefenseReview.com (DR): An online tactical technology and military defense technology magazine with particular focus on the latest and greatest tactical firearms news (tactical gun news), tactical gear news and tactical shooting news. 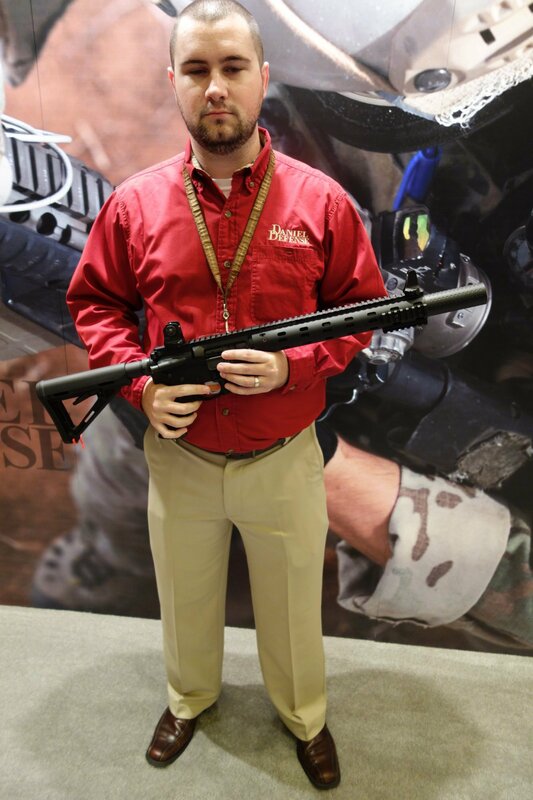 Daniel Defense (DD) has a new 10.3"-barreled integrally suppressed tactical AR SBR (Short Barreled Rifle) called, appropriately, the Daniel Defense M4 Carbine (DDM4v7-type) ISR-300 Blackout (Integrally Suppressed Rifle). 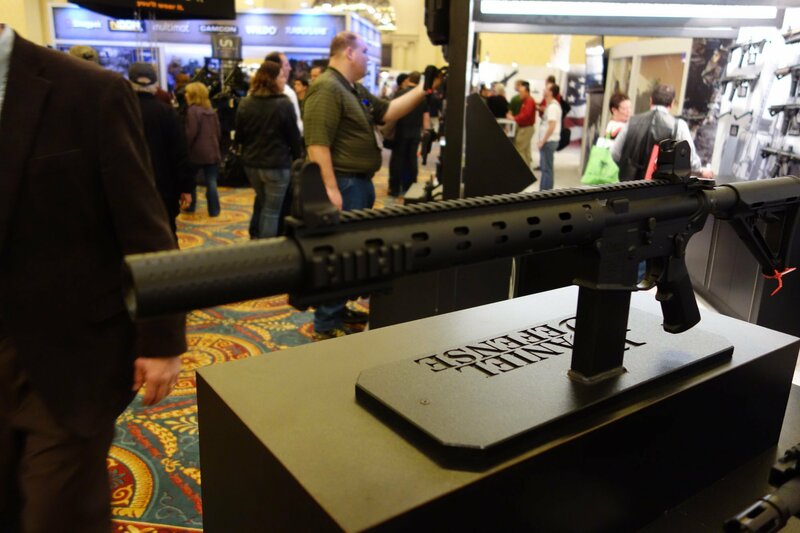 Introduced recently at SHOT Show 2013, the new little suppressed 300BLK SBR looks pretty badass and primetime-ready. An interesting aspect of the DDM4 v7 ISR is that, according to the DD rep we spoke with, it only requires one federal tax stamp (under NFA). 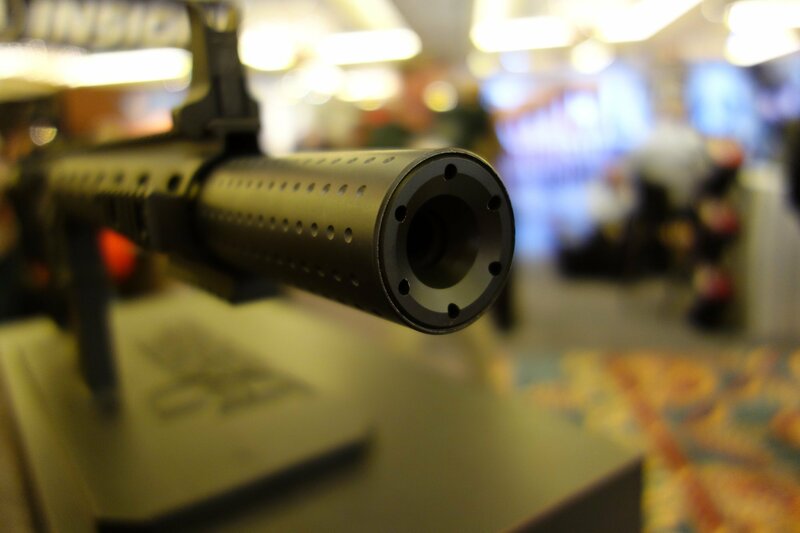 It's DefenseReview's (DR) understanding the one tax stamp is for the in-house-developed integral muzzle can (silencer/sound suppressor) that's permanently attached to the cold-hammer-forged barrel (giving the weapon a carbine-length barrel section), not for the SBR aspect. However, as a suppressed weapon, it's still an NFA weapon, so all NFA rules apply. If you're looking for a cool, quality-manufactured integrally suppressed 300BLK tactical AR SBR, DR recommends you give the DDM4 ISR-300 Blackout a serious look. 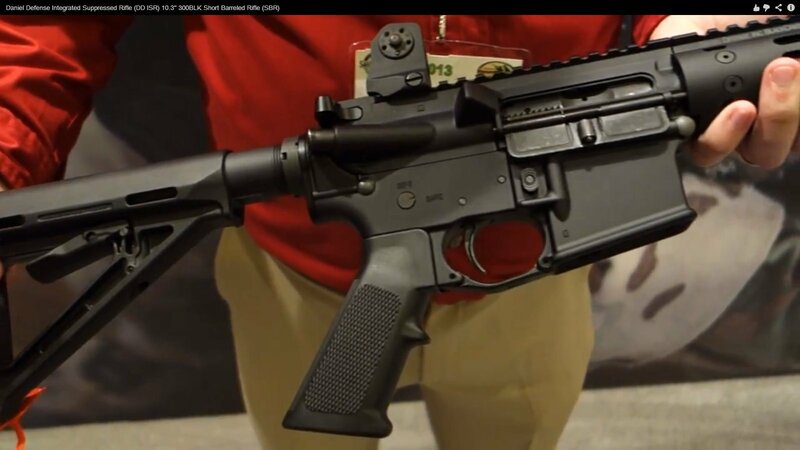 It's pretty nice, and it's outfitted with the DD MFR 12.0 modular free-float rail tube, making it a DDM4v7-type SBR. DR likey. 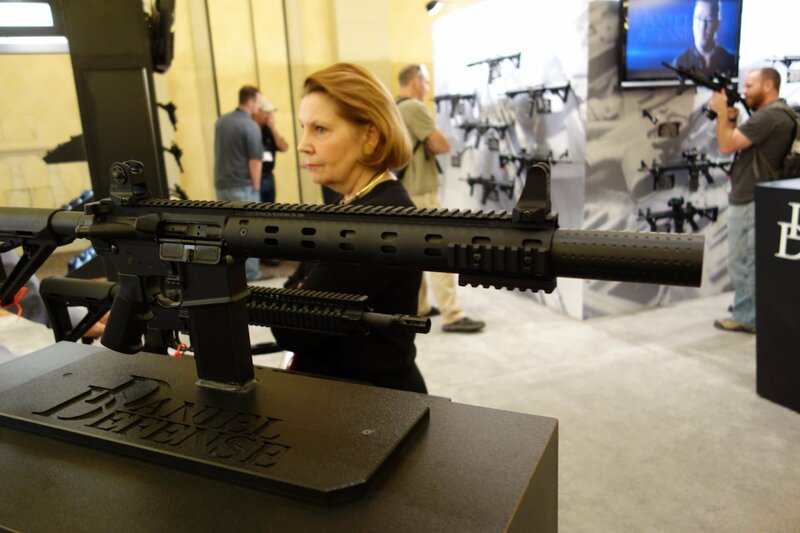 The Daniel Defense DDM4ISR (Integrally Suppressed Rifle) 300 joins our family of precision-crafted M4 Rifles. The ISR takes advantage of the best characteristics of the 300BLK by integrating key components into one package, eliminating the need for two separate tax stamps. While the rifle utilizes a 10.3” barrel, it is not classified as an SBR (Short-Barreled Rifle) because the suppressor is permanently attached. The DDM4ISR 300’s sound suppressor is threaded and welded to the proprietary ISR Integrated Gas Block, bringing the barrel length to 16.145”. 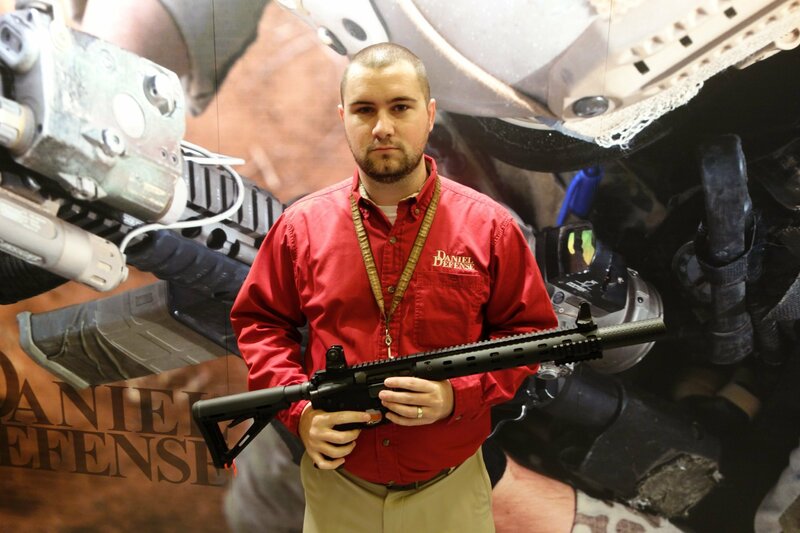 While the rifle is at the 16” legal limit, the ISR’s integrated suppressor will require an NFA tax stamp. – Suppressor: All Stainless Steel Construction and 17-4 Monolithic Baffle. – Integrated Suppressor: All Stainless Steel Construction, 17-4PH Monolithic Baffle, Salt Bath Nitride Finish, Pinned and Welded Assembly. The Daniel Defense M4 Carbine carries a 100% satisfactions guarantee against defects in original materials and workmanship. If your Daniel Defense M4 Carbine shows evidence of such defects, Daniel Defense will make every accommodation to fix, repair, or replace your firearm in the most expeditious and inexpensive manner possible. 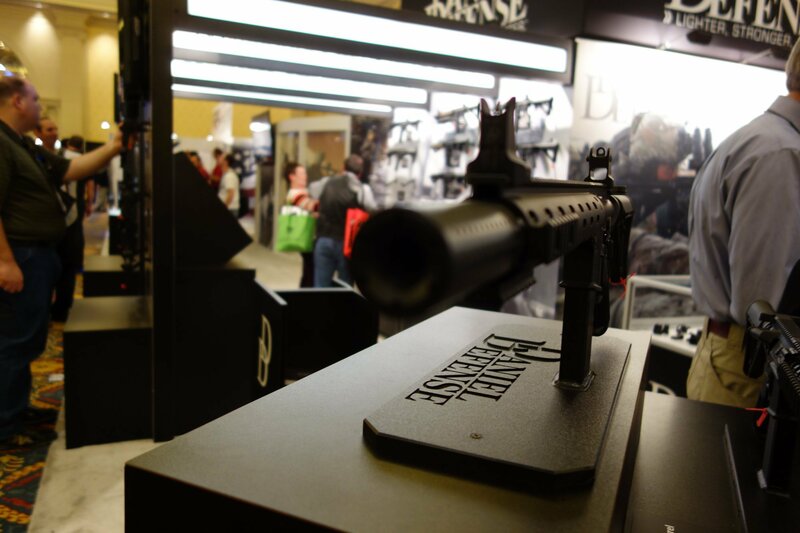 Daniel Defense does not warranty products or damage caused to our products by the correct or in correct installation of other manufacturer’s products. Be sure to retain your sales slip as proof of purchase date when making a claim." 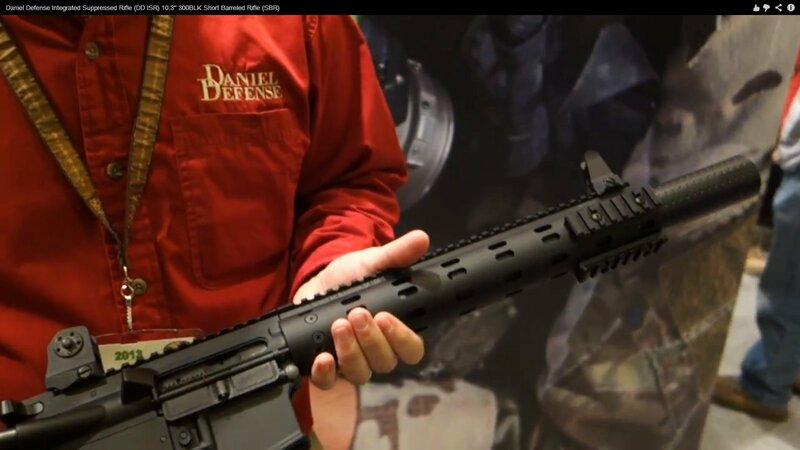 Daniel Defense DDM4 v5-300 AAC Blackout (300BLK) 7.62x35mm Tactical AR-15 Carbine/SBR (Short Barreled Rifle): Serious Ballistics for Dynamic CQB/CQC and Engaging Targets out to 460 Meters! DR Action Video! 300 AAC Blackout (300BLK) 7.62x35mm Suppressed PDW-Type Tactical AR SBR/Sub-Carbine and FN Mk46 MOD1 Fired on Full-Auto: Quiet-Killer Cartridge Impresses at the Range!